advice in order to keep your device secured. It baffles me to see a week old Infinix hot android bricked few days ago by a discourage, defeated and buffeted fellow. > Developer Options and enable USB Debugging from there. Settings > About Phone. In this screen, find something called Build number. the instructions you see after. point of time to bring it back to the same state when it was backed up. you don’t end up accidentally deleting them from your sd card. application not men’t for your Android phone. Ask question before you flash. ==>Finally, there is a particular type of font app that normal brick Android phone, before you install any at all, please ask question if someone has used it before. Its very important before your device will be looking at you like a forgotten toy. Keep it safe, keep it clean and secure. will try that when i buy my android phone. pls yomi, do i nid 2 install nandroid and twrp? coz i culdnt find twrp and clockworkmod on playstore. 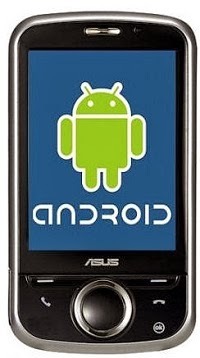 n3 is my fone bcos i wnt 2 upgrade to android 4.0 and u said we must follow dis procedure as well. so am confused here bro. Hello Koly baly, sorry for late replies but once you install twrp or cwm, you will good to go. cwm is in play store just try and search it out or you want me to mail it to you? Please my tecno pad n9 jst developed a problem nd it started typing nd operating on its own well. . I dont knw wah to do wif d fone. . Prof can you help me out with dat. .
Is it not obvious ur not d only one usin ur fone? Sum external forces ar usin it to c watsupp in d world too. please prof my p5 got brick since two weeks now and i dont no what to do. If I had done this my phantom Z would be OK by now. Am looking for a way to restore my phantom Z can anyone help me with the MTK Backup please? Hello R&B, is your Phantom Z soft brick or hard brick? Thanks for this post Prof. But I just want to know what this Clockworkmod is all about, I have heard people talk about flashing android with Clockworkmod but I seem not to know what it means. An explanation and step to do it for my Infinix Hot would be greatly appreciated sir. ClockworkMod is a custom recovery for Android phones and tablets that allows you to perform several advanced recovery, restoration, installation and maintenance operations on your Android device that aren’t possible with the stock recovery. I think this step here will help you through but if you are confuse, please do ask your question. Thanks for your response Prof. What if i just install the TWRP directly from playstore since i already have my device rooted? .. Or do I require any additional step bfre installing the TWRP? Pls, what is everyone using to comment on this site. my bblitew stopped and its not up to a week yet. am using a school wifi to update. Yomi render an helping hand. i need unlimited. should i resubscribe? Thanks in anticipation for a good response. Then make sure it is backup up on sdcard.